Not everyone who owns a basketball keeps an air pump of some type on hand. Possibly this is because basketballs tend to maintain inflation for long periods of time. Then, one day you retrieve the ball from a closet only to find it needs air. 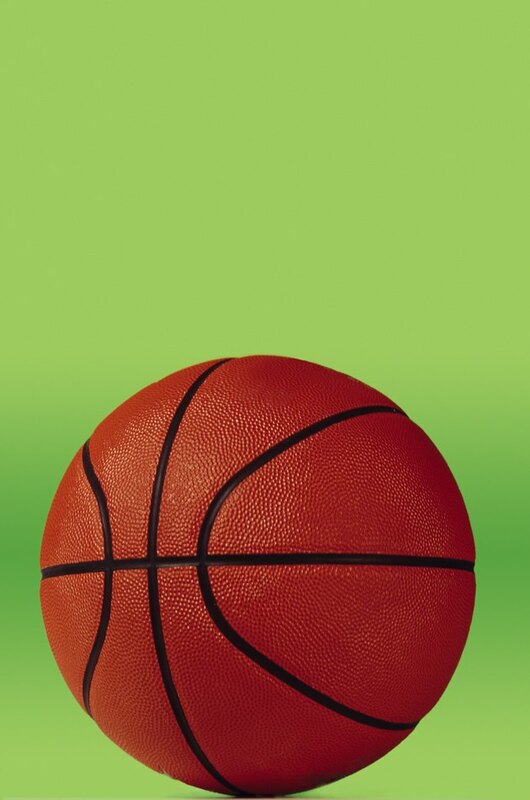 Although the best way to inflate a ball is with a pump, you can blow up a basketball with several items used for the office, a vehicle or a bicycle. Remove the thin plastic tube from the side of a canister of compressed air that’s used to dust off computer keyboards. Moisten one end of the tube, and insert it into the inflator valve on the basketball. Fit the nozzle of the canister onto the other end of the tube. Depress the handle on the nozzle to inflate the ball. Pull the tube out of the inflator valve, and test the bounce of the ball. Moisten the tip of the tube, and inflate the ball with more air if necessary. Moisten the tip of a needle valve that's used to inflate balls. Insert the tip into the inflator valve on the basketball. Moisten the threads on the outer end of the needle valve. Push the rubber opening on the bottom of a tubeless tire valve stem onto the threaded end of the needle valve. Attach the nozzle of a CO2 bicycle tire inflator onto the threaded end of the valve stem. Screw the CO2 cartridge into the base of the nozzle to inflate the basketball. Unscrew the CO2 cartridge from the nozzle. Pull the needle valve out of the inflator valve, and test the bounce of the ball. Moisten the tip of the needle valve, and inflate the ball with more air if necessary.